Five universities have banded together to fight cyber security threats with OmniSOC, a cyber security operations center that will provide real-time intelligence sharing and threat analysis for its members. 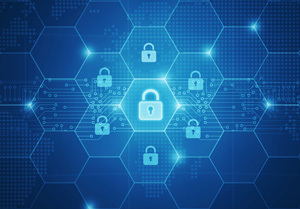 A joint initiative of Indiana University, Northwestern University, Purdue University, Rutgers University and the University of Nebraska-Lincoln, OmniSOC's goal is "to help higher education institutions reduce the time from first awareness of a cyber security threat anywhere to mitigation everywhere for members," according to a news announcement. The center operates out of Indiana University in conjunction with GlobalNOC, a nonprofit at the institution that provides research and education network services. It also works closely with the Research and Education Networking Information Sharing and Analysis Center (REN-ISAC), an organization focused on cyber security protection, response and information sharing within the research and higher education communities. OmniSOC combines real-time security data feeds from its member campuses with governmental and corporate security subscriptions, and uses that information to identify suspicious and malicious activity, the news announcement explained. It then provides rapid incident response based on both human analysis and machine learning. At the core of OmniSOC is the Elastic Stack security analytics platform, a system for ingesting, correlating and analyzing vast quantities of information to detect cyber threats. "With tens of thousands of students, faculty and staff, university campuses are really like small cities, with sensitive data and powerful computing systems that are coveted by cyber criminals," said Tom Davis, OmniSOC founding executive director and chief information security officer, in a statement. "Protecting hundreds of thousands of devices and critical data requires expertise, systems, policies and rapid response when new vulnerabilities become known. While campus-by-campus approaches are essential, they are not sufficient for the sophistication of modern cyber risks. OmniSOC enhances the work of local security professionals to provide greater real-time, sophisticated threat detection, analysis and action for our members." "Higher education is for the most part an open environment, so we often see cyber crimes that others have not," commented Greg Hedrick, chief information security officer at Purdue University. "By allowing us to monitor across higher education, OmniSOC helps to improve our capabilities to identify and react more quickly to these bad actors. My hope is that this information can be shared with others outside of our community in order to protect the entire ecosystem." Future plans for OmniSOC include expanding its membership to other universities and scaling up services.